Therapeutic optometrists are approved to prescribe medicine treatments for the eye to treat eye infections, eye disease and glaucoma. To obtain this endorsement, optometrists are required to complete mandatory certified training and apply for registration to prescribe therapeutics from their state board. We provide comprehensive vision care including diagnosing and treating vision problems and eye diseases then formulating a suitable treatment plan. 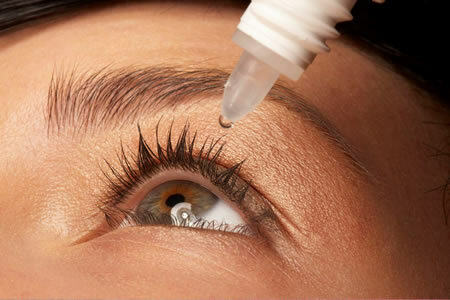 For people with eye infections, eye allergies, certain eye diseases and glaucoma, ocular therapeutics (medicine treatments for the eye) are often required. A therapeutic optometrist is approved to provide these treatments where appropriate to their patients. We also work in conjunction with leading Ophthalmologists and Institutions (including Lady Cilento Children’s Hospital) to provide the very best treatment to our patients. Pharmaceutical Benefits Scheme (PBS) subsidies generally apply for ocular therapeutic products prescribed by a therapeutic optometrist.